The human services field is one of the most rewarding professions. However, the human services field has one of the highest turnover rates of any other profession. Human service jobs with the highest turnover tend to be those positions that work directly with those who need help. These positions are often direct care staff, residential counselors, and staff at detention centers and psychiatric hospitals. However, there is also a high level of turnover in case manager and social work positions. These hard working professionals are often subject to verbal and physical abuse from clients and extremely high workloads. In addition, human service professionals are often underpaid which often leads to turnover. I know several who have left the field completely due to the low pay. Most people get into the human services field because they love helping people. Despite the desire the help, I talk to people who are just fed up and want to move on to something else. I offer a few suggestions to prevent burnout in this profession. Although this is focused on the human services field, these suggestions can really be applied to just about any profession. 1. Schedule Monthly Vacation Time- I recommend scheduling time off each month. I like to call them “mental health days”. Sometimes a periodic three day weekend can be just enough to recharge the emotional battery. I also recommend taking at least two full weeks off for vacation per year. I know many people feel like they have too much work to do or can't afford to take the time off. Trust me, the work will still be there whether you take the time off or not. 2. Find a Relaxing Hobby- Find a hobby totally unrelated to your job. Some suggestions could be gardening, music, and art. Yoga and meditation are also nice stress relievers. I personally like landscaping, comedy, and writing on various topics. 3. Team Building Activities- Team building activities are also beneficial for managers looking to boost employee morale. A day out of the office participating in a fun activity can provide a temporary boost in employee satisfaction. Small tokens of appreciation can also boost employee satisfaction. Although we don’t say it, human service professionals like to feel appreciated. A simple “thank you” can go further than you think. Team building is another technique that can recharge the battery. 4. Develop New Skills- We all can tend to get stagnant in our current job situation. Developing new skills or taking on different roles within the organization can prevent burnout. Obtaining an advanced degree or an additional certification can provide new opportunities and advancement in the field. 5. 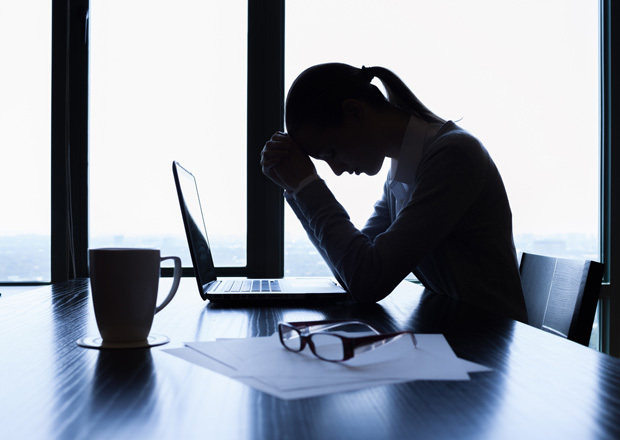 Rotation of Workload- Stressful cases often lead to burnout in the human services field. I have seen some cases that are so stressful that they are rotated to a new case manager every 6-12 months. Distributing difficult cases evenly may also reduce burnout. Some staff may tend to get the most difficult cases due to their expertise. However, there still needs to be balance and overloading one person with more difficult cases will lead to quick burnout. 6. Take Care of Yourself- Take the time to get regular medical checkups. I couldn’t tell you how many times I’ve seen the stress of the job lead to health problems. It has been proven that stress weakens the immune system and often leads to an increase in illnesses such as colds, flu, high blood pressure, etc. The phrase “take care of yourself so you can take care of others” comes to mind when I think of burnout. We get so caught up with making sure everyone else is ok that we forget about ourselves. In addition to regular checkups, eating a healthier diet and getting more exercise can also improve your overall wellbeing. 7. Utilize Company Resources- Many companies offer Employee Assistance Programs (EAP) to help employees with a variety of problems. They offer assistance for a variety of issues that impact job performance and can help with services such as counseling, substance abuse treatment, and stress management. 8. Transition- Sometimes switching jobs completely can prevent burnout. High stress positions such as emergency services clinicians and crisis counselors have an extremely high burnout rate. These positions also tend to have a high level of liability. Transitioning to another counseling/human service position with a less stressful environment can be just what the doctor ordered.